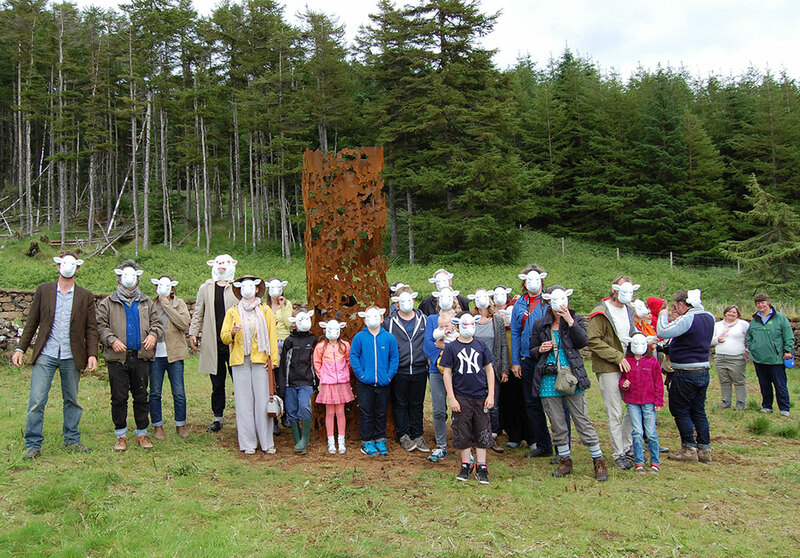 Andrea was invited by curator Sion Parkinson from multi-arts organisation Comar, to complete a major public art commission in Lettermore Forest on the Isle of Mull. 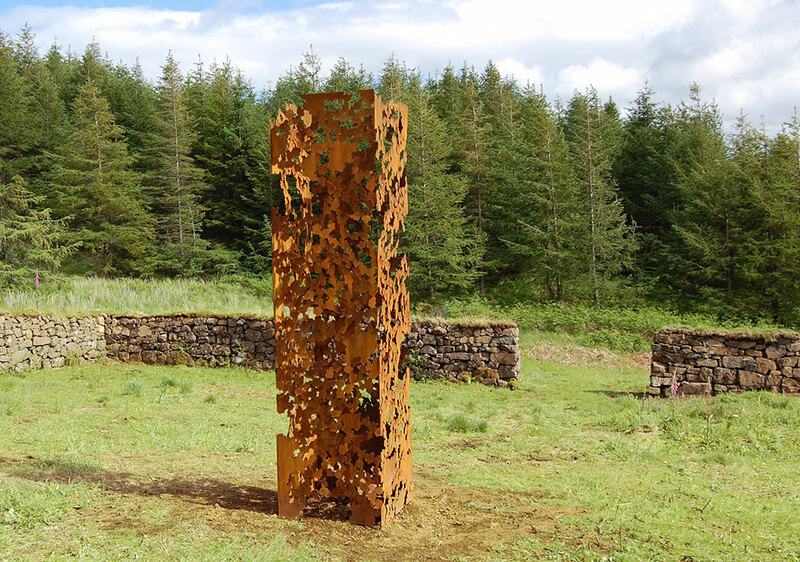 The finished sculpture, The Chlorophylls, is a towering yet light structure, intricately constructed in hand-cut CorTen steel and embedded deep into the ground of a newly restored dry-stone sheep fank in a remote forest in the north of the island. 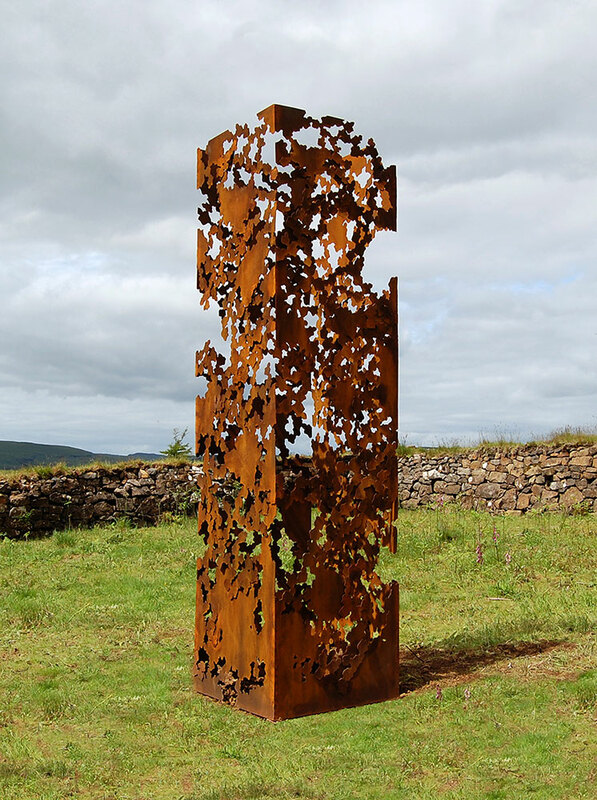 Andrea’s artwork was the result of a long period of planning, community development and negotiations with the Forestry Commission and local landowners. 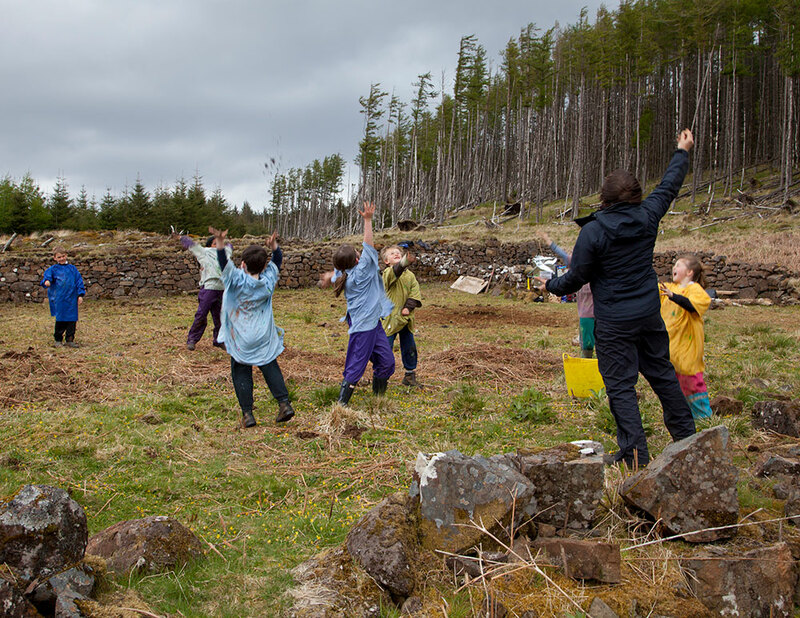 The project was an exciting and unusual mix of arts and heritage, and as such received substantial backing by both Creative Scotland and Heritage Lottery Fund. The FANK project was initiated by the late artist Emma Herman-Smith. The Chlorophylls was shortlisted for Saltire Society’s 2016 Art in Public Spaces Award.